Stats showing the most ‘big chances’ created in the Premier League this season see Chelsea’s Eden Hazard and Liverpool’s Mohamed Salah only come second and third. The Scotland international has been a creative force for Eddie Howe’s side, creating 17 big chances for his team-mates, and his assist stats back up that he’s having a great season. 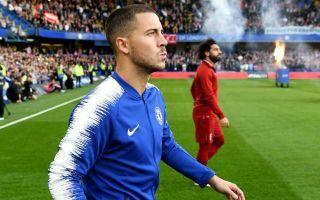 Hazard tops the list in the Premier League with ten assists so far – the only player in double figures, but also the only player with more than Fraser. The in-form 24-year-old has nine assists in total this term, putting him joint second with elite Manchester City attackers Raheem Sterling and Leroy Sane. This is pretty incredible stuff from Fraser, who must be one of the most underrated talents in the country right now as he enjoys a truly superb campaign for Bournemouth.